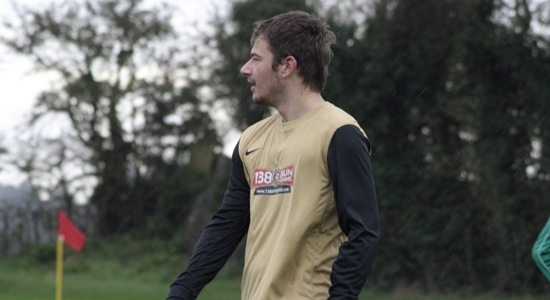 Jack Lord made his 50th appearance for Playford, keeping a clean sheet in the 5-0 win over Claydon 07. He is the 13th goalkeeper to achieve a clean sheet and only the 10th for the First Team. Jack originally joined for the 2011/2012 season, transferring from Real Orford. He played 14 times, collecting the Man of the Match award on his debut. He scored two goals that first season, both in the cup. Then three seasons went by with only a handful of appearances but did include a hat trick against Iswich Hospitals. He made a return with the Reserves, for the second half of last season, playing six games in midfield. This season saw him step into Sam Reach's gloves and play in goal for the First Team. He has the distinction of being the only goalkeeper to record an assist, in fact he has four to his name! Had Rene Swann's ear not got a 'touch' against Martlesham Old Boys he could have even recorded a goal. Jack's appearances are made up of 44 for the First Team and six for the Reserves.